Welcome to Rupam Industries. 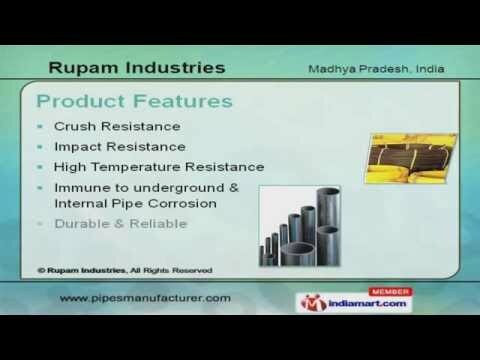 Manufacturer and Exporter of Industrial Pipes and Pipe Fittings. The company was established in the year 1969. Our team of professionals andcustomized solutions has helped us to earn clients across the globe. Timely delivery, ethical business and competitive prices are the factors that help us tostay ahead of our competitors. Crush, Impact Resistance and Tensile Strength are some of our product features. Our application areas are Gardening, Floriculture, Agriculture and others. We offer a wide assortment of PVC, MDPE and Sprinklers Pipes. Our PVC and HDPE Pipes are widely acclaimed in the market. MDPE and LDPE Pipes offered by us are extremely reliable. Our Drip and Sprinklers Pipes are best in the industry amongst others.